Battery-powered pencil sharpener is equipped with hardened steel cutting blades that give a perfect point every time. Easy-to-remove shaving tray has a safety monitor to prohibit operation when blades are exposed. 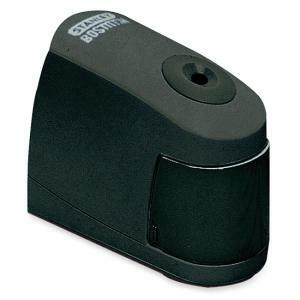 Pencil sharpener automatically stops when pencils are sharp. Requires four AA batteries (sold separately).